Sheila Cowing's poems are published in over one hundred literary journals and are frequently anthologized. 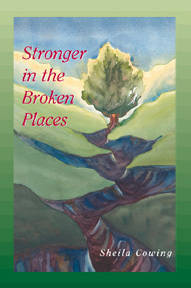 Stronger in the Broken Places is her long awaited first book-length collection. From 1986­1991 Cowing served as editor of Shoe Tree, a national literary magazine for young writers. The New Jersey Arts Council awarded her a Distiguished Artist Fellowship in 1988.